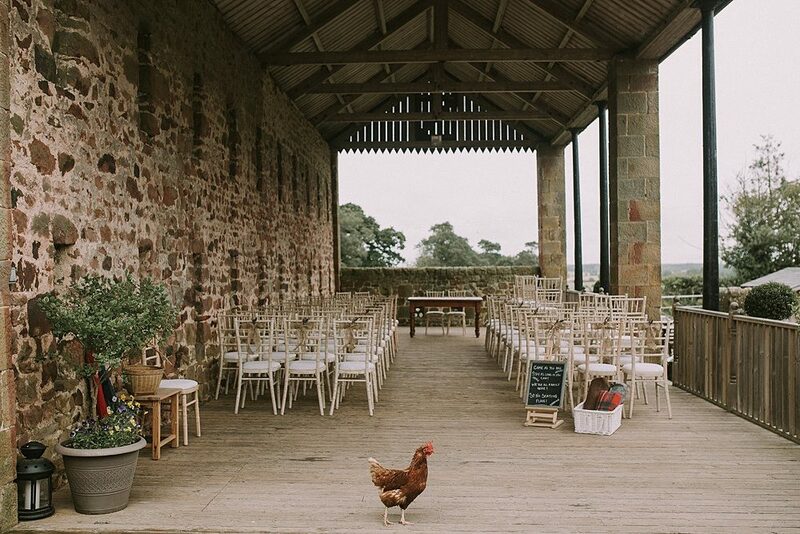 How’s this for a true farm style wedding, an honorary chicken guest strolling around your outdoor barn ceremony at High House Farm Brewery in Northumberland, making for excellent photo opportunities by Maureen Du Preez. 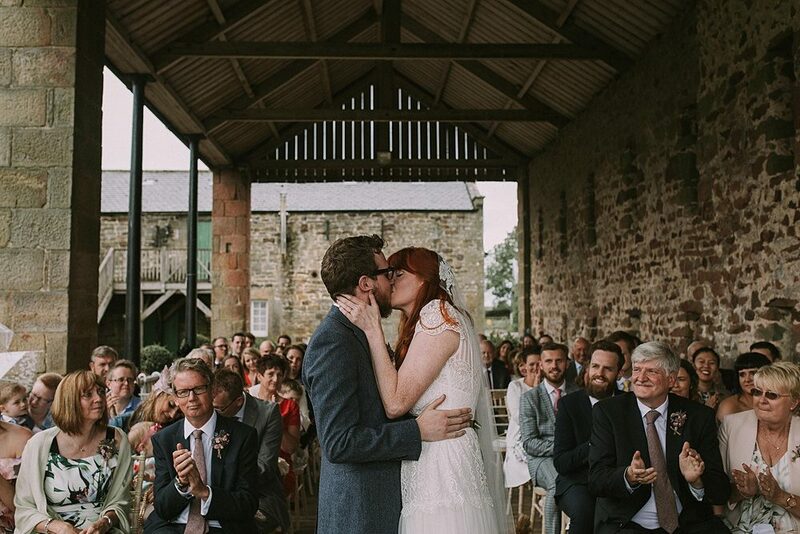 Even though we adore the chick, the stars of the day were most definitely bride and groom, Helen and Daniel. 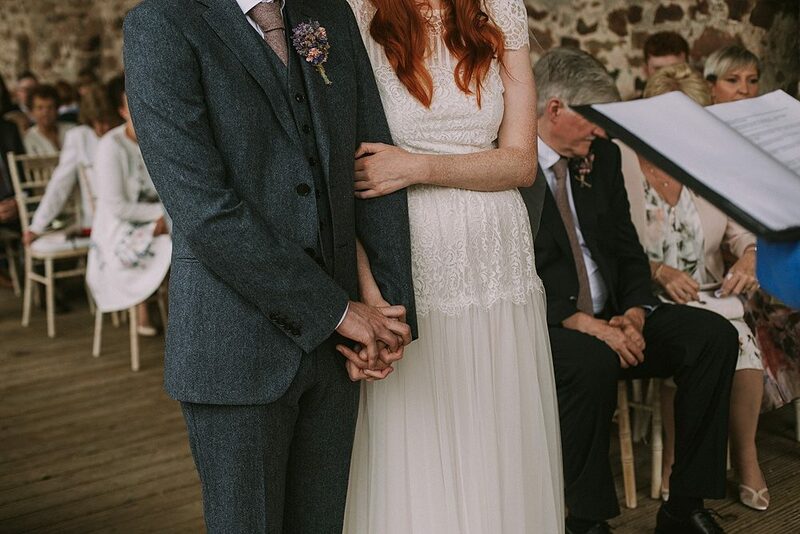 Helen looks stunning in a vintage lace gown by Katya Katya, bought from one of our favourite boutiques The Case of The Curious Bride. 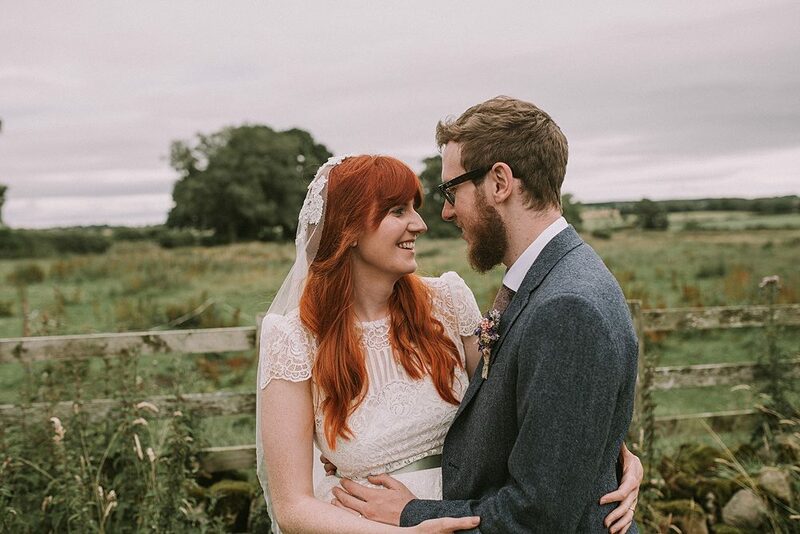 She completes her look with a delicate juliet cap veil on her fabulous auburn hair, and carried a gorgeous died flower bouquet by Artisan Dried Flower Company. 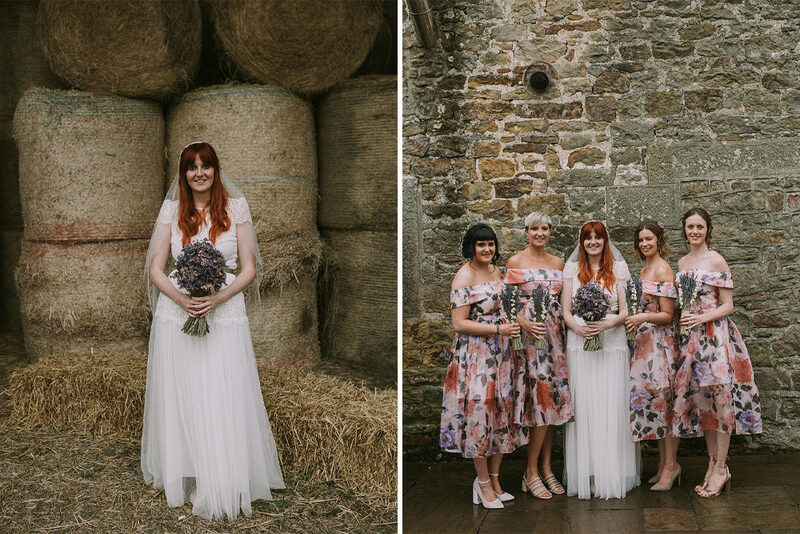 Following the floral theme are the bridesmaids in vibrant flower dresses from ASOS, and another less traditional addition was the burger bar wedding breakfast. 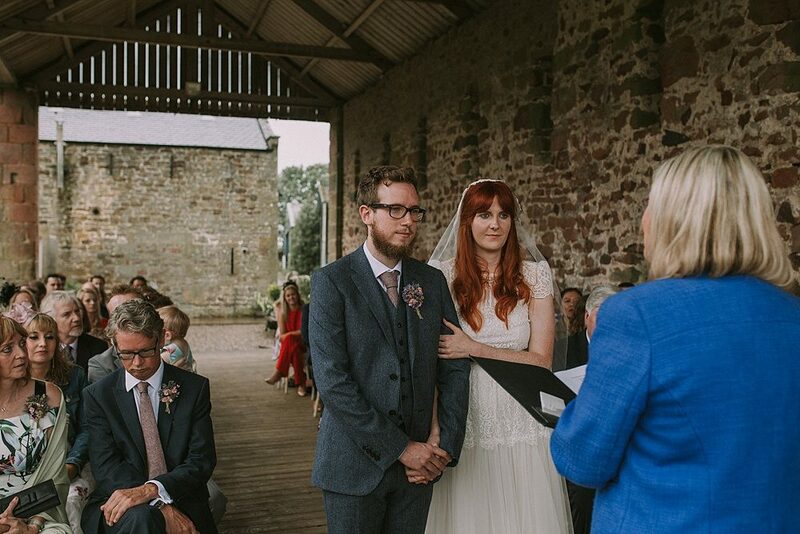 I bet that went down a storm with the guests. 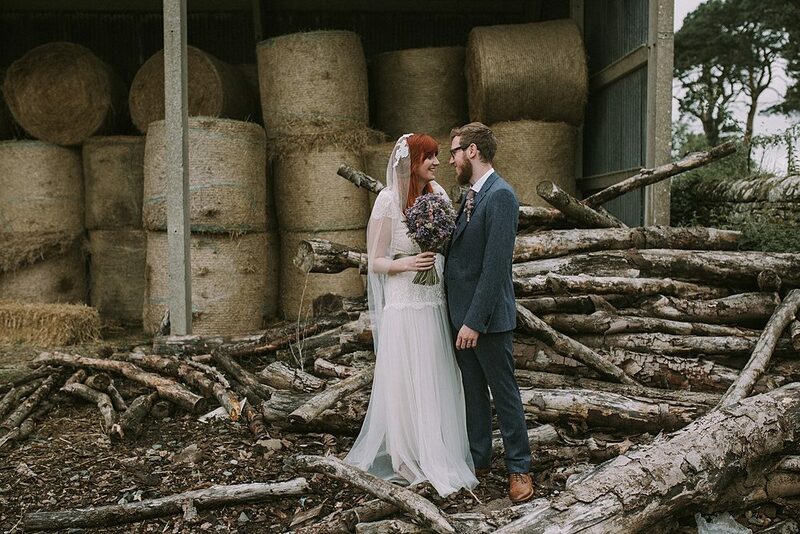 All in all this is definitely a rustic wedding not to be missed. Enjoy. 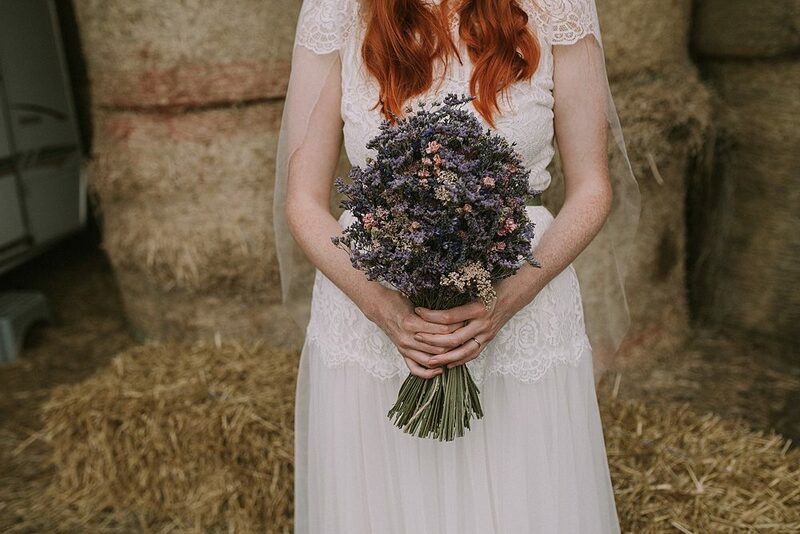 We are really pleased to welcome The Artisan Dried Flower Company to The Love Lust List. 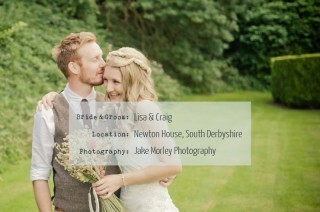 The Rock My Wedding directory with a difference. 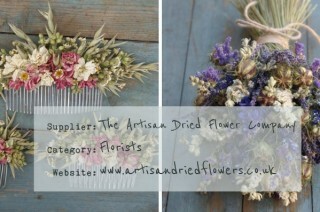 You can find The Artisan Dried Flower Company in our West Midlands Florists category. 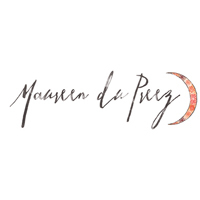 Check The Artisan Dried Flower Company out and remember if you are looking for vendors and suppliers with the RMW seal of approval, the Love Lust List is only one click away via the ‘Find A Supplier’ tab in the header section. 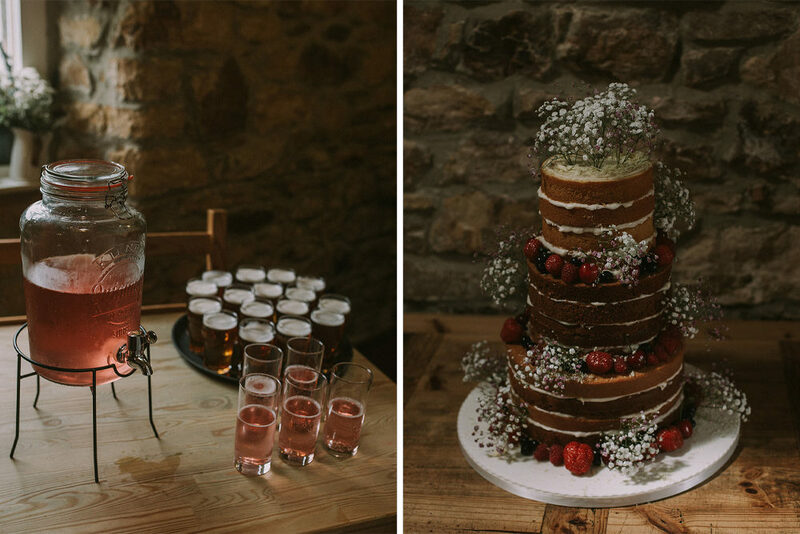 Our signature style of wild, rustic, country inspired dried flower designs, include ingredients grown on our flower farm in Staffordshire. 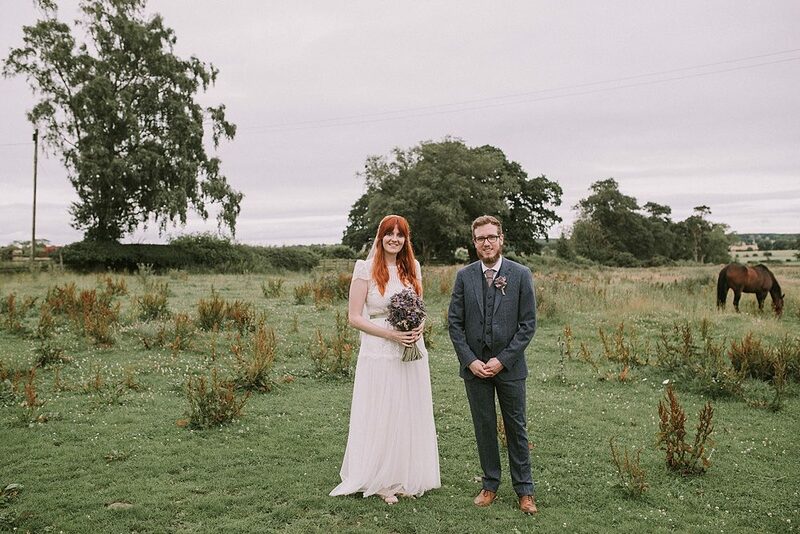 Our natural, dried flower wedding collections include, Bridal Bouquets, Buttonholes, Hair Circlets, Hair Combs and venue designs. Available to order online for nationwide delivery or we can also offer a bespoke design service.